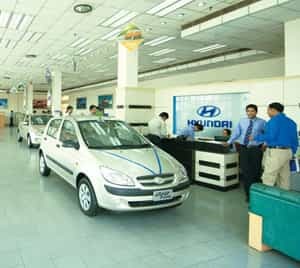 Mumbai: Driven by the buoyancy in the economy, coupled with demand because of the festive and marriage season, auto sales in India, Asia’s third largest market after China and Japan, continued to race ahead for the 11th month in a row. The high double-digit growth registered by most auto makers in November mirrored growth in the nation’s economy. In the three months to September, India’s gross domestic product grew a better-than-expected 7.9% from a year earlier, the government announced on Monday. The global financial crisis that unfolded amid the collapse of US investment bank Lehman Brothers Holdings Inc. in September last year saw auto sales plunging 19.3% to 83,059 units in November over a year ago. India’s auto sector, which offers direct and indirect employment to 10 million people, was among the first to recover from the slump. Joseph George, analyst at BNP Paribas Securities India Pvt. Ltd, attributes the surge in vehicle sales to “strong underlying demand". Auto firms weren’t able to cope with demand owing to various reasons, which led to abnormally low inventory at dealers, he said. The November sales increase was led by Maruti Suzuki and Hyundai Motor India Ltd. Maruti Suzuki saw domestic sales jump 60% to 76,359 units. The firm continues to have a waiting of three to three-and-a-half months for its DZire, Estilo and A-star models. Maruti’s Srivastava said that with metal prices showing an appreciating trend and the likelihood of an interest rate hike, sales may be set to slow. Hyundai Motor, India’s second largest car maker by volumes, had sales in November shoot up 92.8% to 28,162 units. Tata Motors Ltd, the country’s largest auto maker by sales, sold 50,114 trucks, buses and passenger cars in the domestic market, a rise of 64% from a year ago. Analysts believe that with manufacturers despatching a higher number of vehicles to dealers to make way for models for the new calendar year, sales to dealers will continue to be strong in the current month. “It might, however, be softer than November," said BNP Paribas’ George, as people postpone buying decisions to the new year. In India, auto firms report sales to dealers and not to end customers. Hero Honda Motors Ltd, which sells two of every three bikes in the country, posted a 32% rise to 381,787 units, despite labour issues at Rico Auto Ltd, one of its key vendors. Anil Dua, senior vice-president (sales and marketing) at Hero Honda, expects the company to continue the good run in the coming months. “We expect the momentum to continue in December and beyond," he said, adding that the company has been able to beat its festive season target and managed to clock sales of 300,000-plus for the 11th month in a row. Sales at Mahindra and Mahindra Ltd (M&M), the country’s biggest maker of sport utility vehicles, doubled to 21,387 units. Honda Siel Cars India Ltd, SkodaAuto India Pvt. Ltd and General Motors India Pvt. Ltd also posted higher sales in the month. Among other two-wheeler makers, sales at TVS Motor Co. Ltd went up 23% to 120,844 units, led by a 35% upswing in its scooter portfolio, where it introduced some new models. The BSE Auto Index comprising 14 firms was boosted by the robust sales numbers, rising 2.9% to 7,220.24 on Tuesday. The benchmark equity index, the Sensex, closed 1.61% up at 17,198.27.